Welcome to Open Education Week 2019! 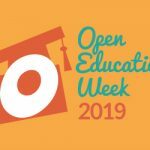 March 4-8, 2019 is Open Education Week, an international event to build awareness of open education and show its impact on teaching and learning. Open education encompasses resources, tools and practices that employ a framework of open sharing to improve educational access and effectiveness. * Read below to learn how to get involved during Open Ed Week. 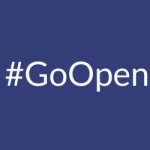 COERLL recently became a supporting organization of #GoOpen, an initiative of the U.S.
Google reported in 2011 that smartphone sales are set to grow at a rate of 30 percent per year. These web-ready, video streaming, image capture devices are a lot of fun — and what’s more,...The post A Beginner’s Guide To Mobile Learning appeared first on TeachThought. Since its introduction, Skype has gained more than a little traction in the communications space. While Google+ has added Hangouts and Facebook video chat that accomplish essentially the same thing, due to its pioneering effort,...The post Skype For Learning: The Taxonomy Of A Technology-Based Conversation appeared first on TeachThought. Twitter is among the simplest social media tools to use, but to use it well is another story. The following infographic from twiends.com (we found it on c4lpt.co.uk, a site we love) serves a visual guide to...The post Everything You Need To Know About Twitter: A Visual Guide appeared first on TeachThought.